This is the 16-page color brochure for the Break Forth Israel 2019 Signature Tour. Don't miss out! Our tours sell out. Download now. Check out all the details and then secure your spot today. Please join Hans Weichbrodt and Arlen & Elsa Salte on this spiritual journey of a lifetime for Break Forth Israel 2017: Signature Tour. Space is limited: Please don't miss out! Here is your 14 Page Brochure for Break Forth Paul 2016 (Missionary Journeys of the Apostle Paul with 7 Day Cruise). It will be a Spiritual Journey you will never forget. We would love to have you join us. We invite you to join us for Spiritual Journeys of a Lifetime to the Lands of the Bible. Please download this brochure for more information on our 2016-2017 tours. In 1981, a young man in his early 20s entered a recording studio. There was 1 classical guitar, 1 microphone, nothing digital and not a single bit of modern technical wizardry to hide mistakes. It was simply push the record button and let it fly. This is the result. 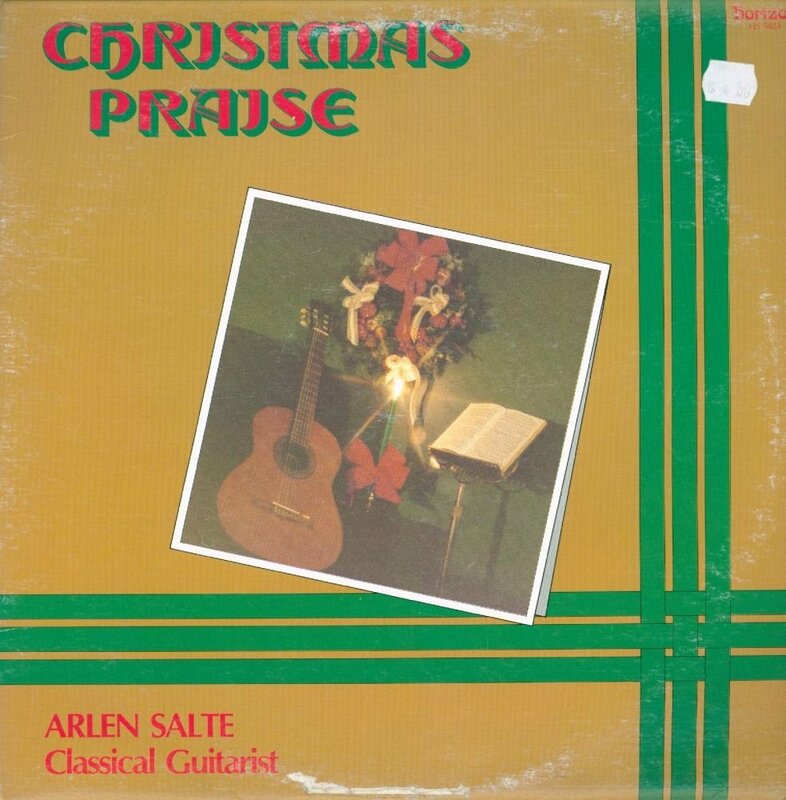 It is a transfer from the original Christmas Praise record that was released in 1981. It sold many thousands of copies all over the world as a back to basics instrumental Christmas classic played year after year. These days, the only place you can find this record is from collectors in Ebay. Merry Christmas and thank you for standing with us for so many years. This is the super-sized full meal deal! Every piece of promo we have to promote Break Forth Canada 2012 to your group. Every video, brochure, poster, PowerPoint, Flyer, promo guide and more. Note that this is a very large 278 MB file and will take aproximately 20 Minutes to download over high speed. This is a low quality 30 second video you may use to promote Break Forth Canada 2012 in your church and with your group. While this is not a high quality resolution video, it is small enough (under 4 MB) to email to all your friends, even if they are on dial-up. We'd love to see you and your entire group at Break Forth Canada 2012. This is the Break Forth Canada 2012 Intensive Learning Workshop Brochure. These workshops are your opportunity to Dig in Deep for an entire Friday with some of the top teachers in the world. From just $65! This is the Break Forth Canada 2012 Main Conference Brochure in a Low Res format that is small enough to email (under 5MB). If you want to have a higher quality version of the brochure, please download the Hi-Res version. However, it will be too large to email to most others. NOTE: Right Click and choose Save As to download onto your computer. This is a HIGH RESOLUTION copy of the Break Forth Canada 2012 Main Conference Brochure. This will take a few minutes to download as it is a 13 MB file. If you want to have a lower quality version of the brochure that can be emailed, please download the low-res version that is under 5 MB. This is a high quality version of the 30 second promo video for Break Forth Canada 2012. This is suitable to download and show on a large screen in church ror to burn to DVD. NOTE: This is an 80 MB video file so it will take a few minutes to download. But it's well worth the wait. This is a 90 second video in HD quality that highlights the programs, the main presenters and artists, the classes, the festivals, the workshops, the Spirit Street exhibit show, the late night events and more! This is high enough quality (HD) to burn to DVD or to project on a large screen. It's a great way to rally your church or your group. NOTE: This is in HD quality and is a 100 MB download. It will take a few minutes but it will be well worth it. Please download the lower resolution version if you wish to have a version small enough to email to all your friends and family. This is a 90 second video in LOW Email-sized quality that highlights the programs, the main presenters and artists, the classes, the festivals, the workshops, the Spirit Street exhibit show, the late night events and more! Email this short video to everyone you know. It's a great way to rally your church or your group. NOTE: If you want a version in full 1080p HD, please download the HD version. Use, adapt, edit and show this multi-slide PowerPoint presentation in your church, group or to share with individuals. It gives a great overview of many of the Break Forth Canada 2012 highlights. In addition to the multi-slide presentation, there is also a single slide adapted from the poster as well as a customizable slide where you can easily add your contact name. This is good for displaying as you share about Break Forth Canada, on a Break Forth Sunday, during teh offering and/or during the prelude and postlude. Note: This is a 42 MB download so will take a few minutes. You will need to unzip (uncompress) the folder after you have downloaded it. Check out who's going to be at Break Forth 2012! This is the super-sized full meal deal! Every piece of promo we have to promote Break Forth Canada 2011 to your group. Every video, brochure, poster, MP3, PowerPoint, Flyer, promo guide and more. Note that this is a very large 277 MB file and will take aproximately 20 Minutes to download over high speed. NOTE: This is in HD quality and is a 107 MB download. It will take a few minutes but it will be well worth it. Please download the lower resolution version if you wish to have a version small enough to email to all your friends and family. This is a HIGH RESOLUTION copy of the Break Forth Canada 2011 Main Conference Brochure. This will take a few minutes to download as it is a 13 MB file. This is the Break Forth Canada 2011 Main Conference Brochure in a Low Res format that is small enough to email (under 5MB). This is the Break Forth Canada 2011 Intensive Learning Workshop Brochure. This is a low quality 30 second video you may use to promote Break Forth Canada 2011 in your church and with your group. We'd love to see you and your entire group at Break Forth Canada 2011. This is a high quality 30 second video you may use to promote Break Forth Canada 2011 in your church and with your group. Note that this is a large download but the quality is superior to burn to a DVD, play locally on a computer or to project on a large screen in your church or with your group. This is the complete PowerPoint presentation for Break Forth Canada 2011. It includes a full multiple slide presentation highlighting the major elements of the conference. Feel free to use the entire presentation (playing background music underneath helps) or take certain slides to highlight elements that would interestt specific groups. At the end of the PowerPoint presentation you will also find two single slides. One can be customized with your church name and group contact information. The other slide highlights all the major presenters, artists and worship leaders at the conference. We look forward to seeing you at Break Forth Canada 2011. This is a double-sided flyer for Break Forth Canada 2011. Print it out double-sided and place it in everyone's mailbox, as a bulletin insert, and as a handout for everyone you meet. Break Forth Canada 2011 presents a stunning lineup of concerts. If you can't make it to the entire conference (but why wouldn't you?) then consider attending one or more of our many concerts. Download this poster and tell all your friends. Charter a bus! This High Quality Call to Worship Video is a free gift to you from Break Forth Ministries and CTS Television. This was the opening video from Break Forth Canada 2010. It is a powerful and high energy statement about the Grace of God. Churches and ministries may choose to use this as a 2 minute call to worship before services. Small Group's Families, and Individuals may choose to use this as a personal reminder of God's grace in their own times of worship. This is a very large 150 MB download so it will take a while even over high speed internet. Feel free to use it directly on your computer or to burn it to DVD or Video CD. Worship Leader Note: This is in the exact tempo as Matt Maher's "Your Grace is Enough". It is also in the key of A, which is the most common key for "Your Grace is Enough." It works very well to transition directly from this video into "Your Grace is Enough." A Home To Reach The World! This is a video update as of June 7, 2007 on the renovations for the new Break Forth Ministries office. It is exciting to see God's hand at work in this entire project. Check back often as we update this video. We have walls to finish, cables to lay, a second floor mezanine to build, carpet and tile to lay, walls to paint, blinds to add, furniture to place and more. Watch it all come together. If you would like to support this project go to www.BreakForthMinistries.com to donate securely online. Welcome to our new office. After 30 years, we have a place to call our own. We will touch hearts around the world from this blessed space. Thank you to all our supporters who have donated and prayed for this project. If you would still like to support this project go to www.BreakForthMinistries.com to donate securely online. NOTE: This is a low-res, 5MB file. Be patient. If you want a high quality version please email us and we will be happy to send you a link to download through FTP. 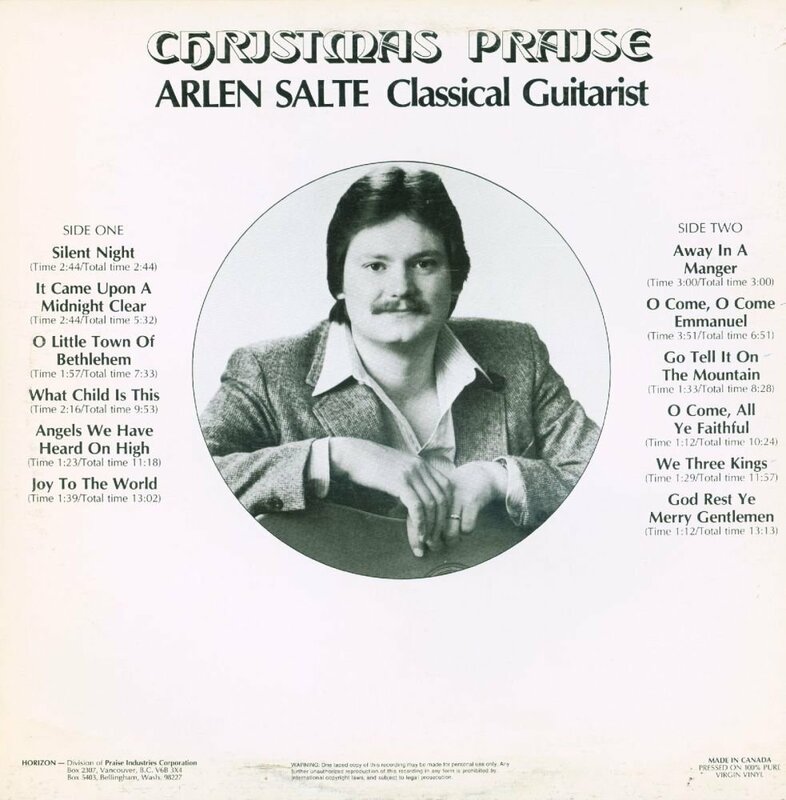 This is an interview of Arlen conducted that took place on the LifeLine television show. On this show, Arlen briefly shares about his story of faith, about Break Forth Canada and his thoughts on worship. In 2007 we celebrate the ministries' 30th anniversary. Download this low resolution video to see God's faithfulness through the decades.